Banking Trojans are back, and they’re nasty. 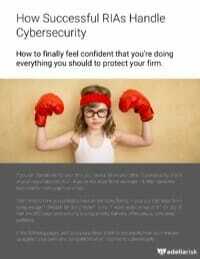 Click on the wrong email, and hackers drain your firm’s operating accounts. Incredibly, many of these attacks even defeat your bank’s two-factor authentication. Here’s a great article that explains how banking trojans bypass two-factor authentication. So what should every business do to protect yourself against banking trojans? The very best way to avoid banking trojans is 100% effective. However, it’s not very convenient. The bottom line — have a computer dedicated JUST to online banking. Never use it for email, or to browse the web. Never do any other work on it. Even better: follow the advice of Brian Krebs and run a copy of Linux from a CD. Nothing is ever written to your disk, so there is no risk of infection. If you don’t want to wrestle with Linux, maybe consider a cheap Chromebook for online banking. They’re easy to use and, like Linux from a CD, almost impossible to infect with a virus. Maybe this won’t work in your company. If not, there are other things you can do, though they do require a bit of work. Using a dedicated Linux or Chromebook not for you? Here’s a checklist we use with our clients to make sure their online banking setup is as strong as possible. Use this to review everyone who can access online banking to make sure you’re as safe as possible. IMPORTANT NOTE: This applies to everyone who CAN access online banking. It doesn’t matter if you regularly do or not. 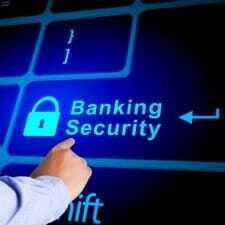 If you have an online banking account, you’re vulnerable. Make sure your computer is fully patched. Use at least two modern antivirus/anti-malware products. Use at least one safe browsing product. Make sure your Internet browser is fully patched. All emails must be screened by an excellent email scanner. Train users to be EXTRA cautious about phishing messages. Train all users to NEVER click on a link that appears to come from their bank. Always log in to the bank site directly. Do phishing tests to make sure users aren’t tricked. Make sure users don’t have Administrator privileges on their computer. Enable two-factor authentication for all users (it’s not perfect, but it’s better than nothing). Work with your bank to turn off the ability to initiate electronic payments / wires for as many users as possible. If you can’t turn off the ability to initiate payments, work with your bank to require two separate people to approve each payment before it sends. At the very least, ask your bank if they offer the ability to trigger two-factor authentication for risky transactions (like making a wire, or adding a new payee). Ask your bank if they offer any free security software focused on banking trojans — many do. Don’t assume that banking on your phone is any safer. Especially if you’re an Android/Samsung user. Never log in to online banking from an untrusted computer or wifi network. How can you learn more about banking trojans? If you’d like to read more about various banking Trojans, you can search online for “Panda Banker,” Emotet, “URLZone Banker,” and Ursnif. If you’d like help figuring out whether you’re vulnerable to banking trojans, please feel free to contact us.